Since 1983, generic InFocus Magazine has been a fantastic way to reach readers on Vancouver Island and beyond. Since 2009, this site InFocus is a great way to reach the local community online. InFocus’s readers are progressive, pills socially-aware and very community-minded. The magazine’s emphasis on all things local combines with our readers’ passion for the island make InFocus an ideal platform for local advertisers. Think gingerbread houses and you think Christmas—nothing sets off a holiday spread like a delectable, digestible chalet covered in confections. Unfortunately, other words that are synonymous with gingerbread house are fiddly and time-consuming, not to mention messy. So, how about cutting out the middle man and contributing to a good cause at the same time by bidding on the house of your sugar-plum dreams? 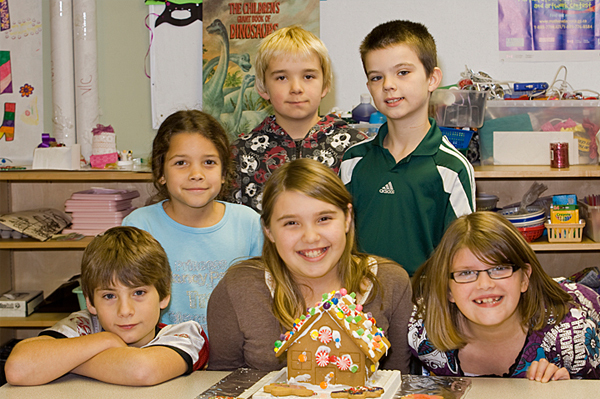 In partnership with the Filberg Heritage Lodge and Park, the Comox Valley Boys and Girls Club (CVBGC) presents Gingerbread Village with Bears. Running from December 3 to December 16, the Village features houses and bears that have been decorated by individuals, businesses and community associations and are up for bids. This is the CVBGC’s major annual fundraiser, which has been popular with both kids and adults for many years now, not unlike the Club itself. For those unacquainted with the organization, the Boys and Girls Clubs of Canada have been around for more than 100 years, serving children, youth and their families through an association of member clubs across the country. The club was originally established in Saint John, New Brunswick in 1900 when some concerned citizens set up a public playground movement that would offer a safe place for children to play after school, particularly boys from disadvantaged circumstances. Obviously, it has evolved and expanded over the years, but supporting kids remains the Club’s focus. The Comox Valley Club was launched in 1992 and incorporated in ’95, after much collaboration between various members and stakeholders in the community, as well as youth in the Valley. Keeping in mind the core values of the national club, the CVBGC’s mission is to provide a safe, encouraging place where children and teens can experience new opportunities, overcome barriers, build positive relationships and develop confidence and skills for life. According to Dea Nieuwejaar, the Club’s executive director, it’s all about empowerment. “I first got involved when I got invited to a community meeting about asset building, which is information about building blocks for life and the different assets that kids need, such as support, boundaries and expectations, commitment to learning, constructive use of time, positive values, social competencies and a positive identity. It was a former director of the Boys and Girls Club of BC who was giving the talk about this, and I just fell in love with the whole idea of the Club,” she says. With a background working with foster families and social services, Nieuwejaar began doing contract work for the association and has been with them as an employee for the past seven years. She has seen the Club make a difference in the lives of hundreds of young people in the Valley through programs that encourage community-building relationships and service, self-help and self-sufficiency. While the goal of the Club is to provide a safe place for kids to grow and develop, the various community clubs take different approaches in attaining those results, depending on staffing, resources and funding. The Comox Valley Club tends to focus on activity-based programs for children generally between the ages of seven and 13, as well as a breakfast club, after-school programs and a couple of parenting programs. “Last year we did a mentoring program for young women, so we do specific things from time to time on older teens, but basically our club focuses on the middle years because that is what we have the resources to do and that is what our area of expertise has been in terms of staffing,” explains Nieuwejaar. As noted, one of the core programs offered is the Breakfast Club, which has been running for more than 10 years, previously at Glacier View School and now at Queneesh Elementary. With support from the community, the program feeds about 30 students on a regular basis, offering them a balanced breakfast to start the day as well as a comfortable place to eat, socialize or have some quiet time. Another long-term program is the After-School Kids Club, which takes place at the clubhouse on 11th Street in Courtenay. The Club offers a range of activities from arts and crafts to science experiments and cooperative games that promote and allow for personal expression and learning. “Through the different activities, the kids learn social skills and social competencies. They learn to be together in a way that is creative and strengthening to them,” Nieuwejaar says. Likewise, the Club also offers four summer day camps that run in two-week sessions and focus on fun activities that encourage positive skills and community connectedness. One of the other popular programs is called Kids in the Kitchen, which focuses on teaching seven- to 12-year-olds how to cook healthy meals safely while respecting those around them. There are also seasonal activity programs that run through the year, such as a fall hiking session and something called Sportsorama that takes place during the winter. We’re still working on our email version — signup at the top right of the page. You can also grab the RSS feed.